Veggie Visa’s mission is to share tips and tricks to help you live a vegan lifestyle whether it’s on the road or at home. I love trying out delicious vegan restaurants, shopping at awesome vegan-friendly stores, staying in eco-friendly hotels when I travel, and cooking quick and easy vegan recipes. I’m devoted to sharing all my finds, tips, and tricks with you so you can live a happier and healthier vegan lifestyle. Hi! I’m Randi, creator of Veggie Visa and co-creator the popular travel website Just a Pack. I’m currently based in Prague, Czech Republic but am a wanderer at heart. I’ve moved over 20 times in my life and love the freedom that comes along with living out of a suitcase. 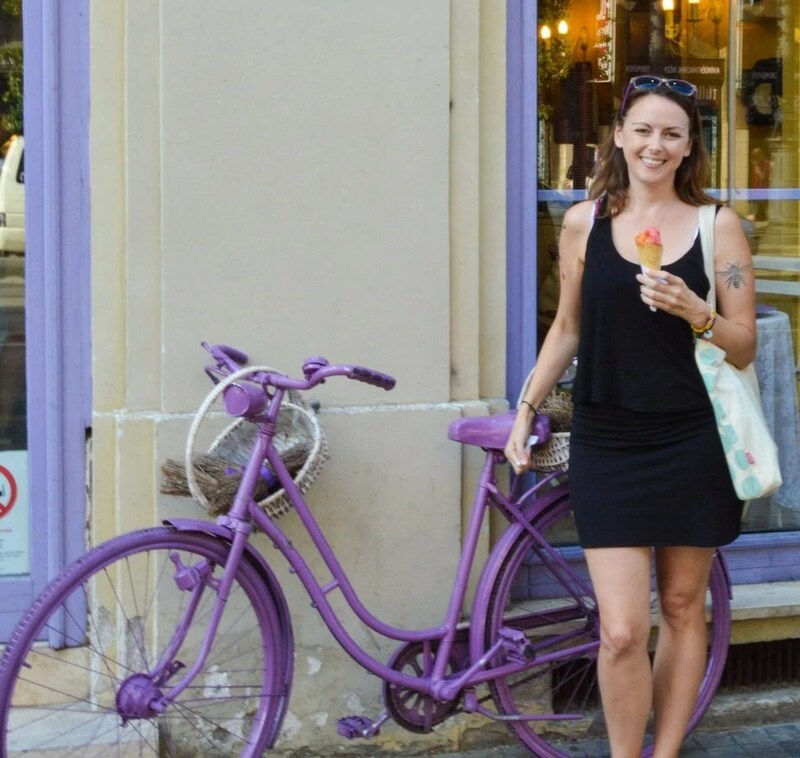 I left my life in NYC and job in legal marketing behind in 2014 to travel the world. Since then I’ve been to over 30 countries, and have no plans to stop traveling any time soon. I’m a vegan (of course), love to cook, and am happiest when I’m lying on a beach in a foreign country. My favorite ice cream flavor is salted caramel, I love cows and bees (seriously, see how much I love them here and here), and think cacti are the most beautiful plants on the planet. My written work has been featured in publications like Marie Claire, XOJane, and A Women’s Thing. I have a background in marketing, culinary arts, and am a Certified Health Coach. Don’t let the V word scare you. Vegans don’t belong to a cult, and we’re not out to convert everyone we meet. Being a vegan simply means that a person has chosen not to eat or use animal products, or anything that has been produced by harming or exploiting animals. Of course, it isn’t possible to be 100% vegan, but we do our best. Veganism might sound boring or difficult but I guarantee it’s neither. The best food I’ve had around the world (and I’ve been to a lot of places) has been vegan, and I’ve never had to go hungry or break my diet to survive. I used to hate the idea of veganism and vegetarianism. Now when I try to figure out why I felt that way I can’t come up with a good answer. I guess I really believed that eating animals was something we needed to do to be healthy. I was very closed minded about the topic until one day a friend, whose opinions I respected, told me he was about to become vegetarian (over a big plate of osso buccco I’d made for him, no less). Something clicked. I couldn’t deny that I was repulsed by the way animals were treated in factory farms, so I decided I’d stop eating those animals. This decision quickly steered me down a path where I devouring facts about the realities of animal slaughter regardless of the size or type of farm they were being raised on. Within a few months I became vegetarian but there was still something pulling at my conscious. I learned more and more about the cruelty that existed as a result of the dairy and egg industry. Over the next year or so I weaned myself off of milk products but continued to eat eggs. When I was traveling throughout Thailand in 2014 I came face to face with animal cruelty on a regular basis. On my last day in Thailand, before crossing the border to Cambodia, I decided to make the final step and go vegan. Now, I can’t even imagine eating animal products. It’s such a strange and foreign concept to me. Want More? Sign Up For My Mailing List! Sign up for my mailing list and we’ll deliver great vegan stuff directly to your inbox. 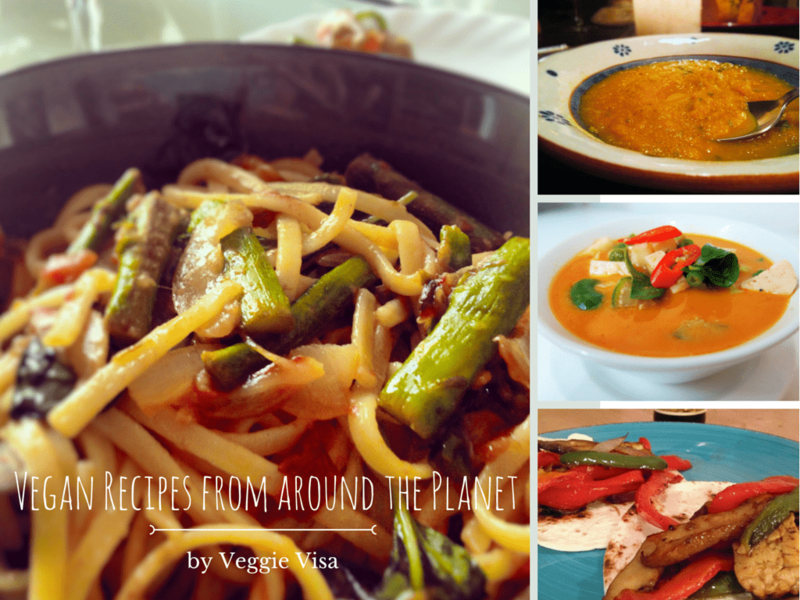 Plus, you’ll get a free vegan travel recipe e-book! Two Vegans One Country is a collaboration project by vegan travel bloggers Amélie and Randi from the vegan travel websites Mostly Amélie, and Veggie Visa. The project’s aim is to promote vegan travel throughout the world, one country at a time. Read More Here! Save Now on Your Next Airbnb Booking!